Gertjie, the baby rhino is now an orphan. Poachers brutally killed his mother and he witnessed her death. Gertjie is so traumatized by the murder that he refuses to sleep alone at the Hoedspruit Endangered Species center caring for him now. He was rescued from the wild in on May 7th, when he was found grieving next to his dead mother. Thought to have been born around February 19th, Gertjie or "Little G" is almost four months old and making some progress. He weighs 136kgs. He is slowly being weaned off night feedings and is building up strength with daily walks. The Center is appealing for funds to keep fat-free milk in stock. He drinks about 15L a day. 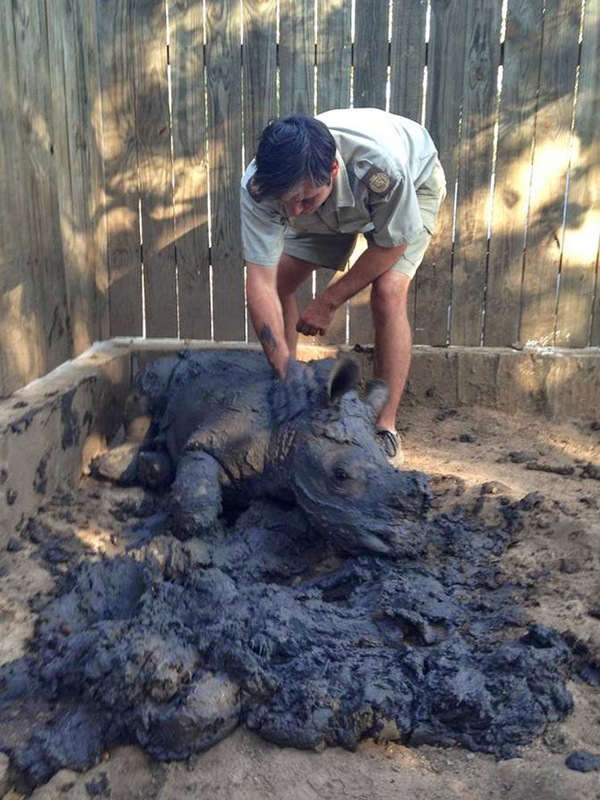 Baby rhinos are only completely weaned off milk between the ages of 15 and 18 months. Little G has humans who watch over him constantly as well as a sheep that serves as a surrogate mom. Watch Gertjie on his live video cam! 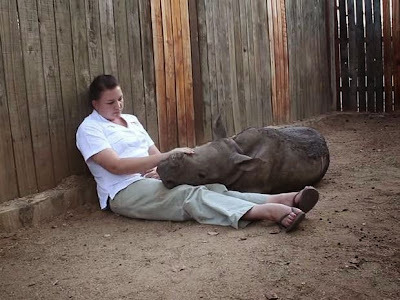 (US Person admits watching a baby rhino sleep is not exactly breathtaking, but perhaps you can catch one of the three feeding hours).